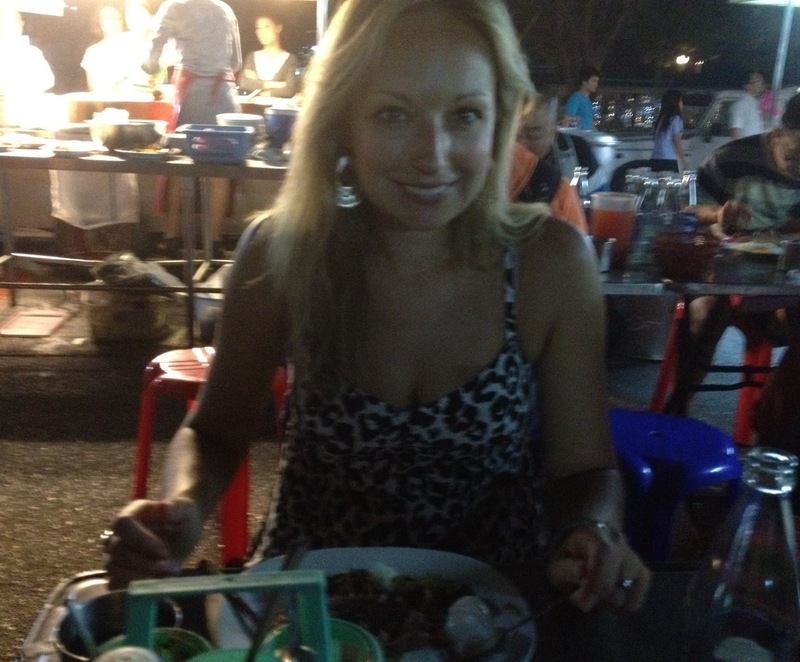 We just had the most amazing dinner, and all for just 60 Baht for both of us (just over £1). 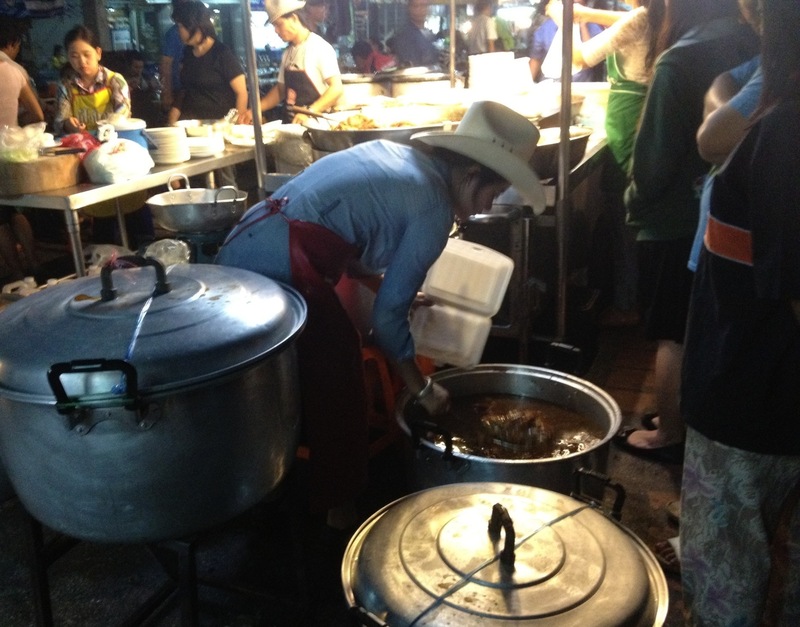 We had a tip off about a great street food stand ran by a lady who always wears a cowboy hat. 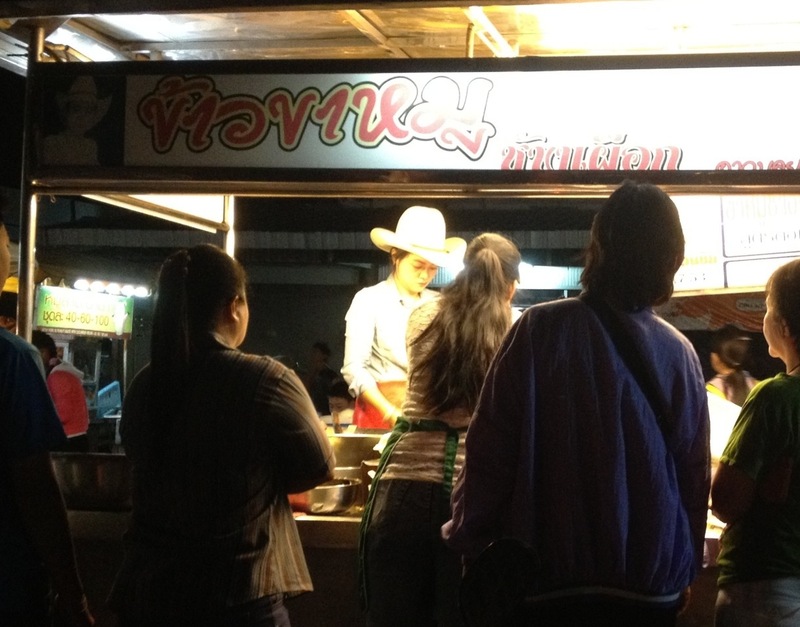 It’s on the north side of Chiang Mai just opposite the Chang Puak gate. It’s a pretty busy street food area but if you head to the stall with the biggest queue it’s almost guaranteed to be this one! It was absolutely packed with locals which is always a good sign. 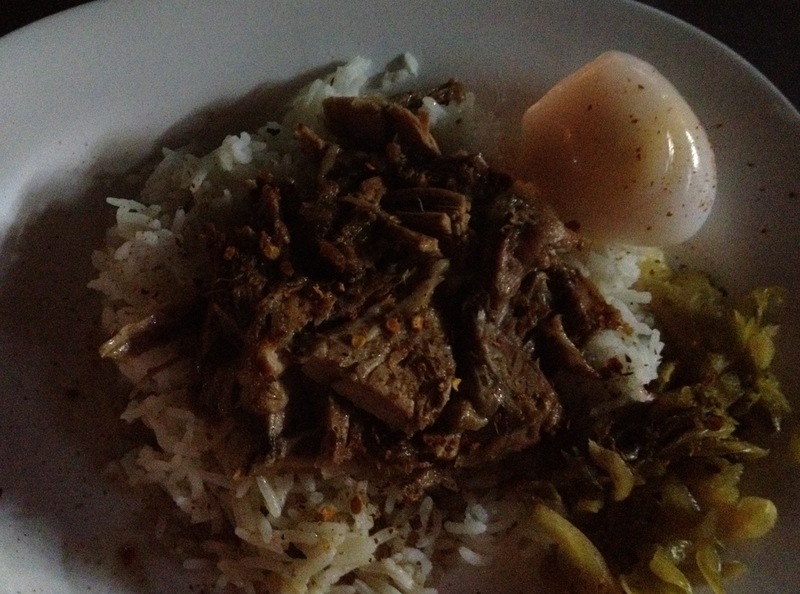 The stall specialises in slow cooked leg of pork served on rice with cabbage and an egg on the side. There are communal seating areas and you get table service with a smile. The table offers the usual Thai condiments of fish sauce, sugar, chilli sauce and green chillis in rice vinegar. There is also bottled water to drink served over ice. I am not even much of a pork fan but this was incredible, so tender and delicious. As you can see, I was pretty happy with the meal! Another great day in Chiang Mai.